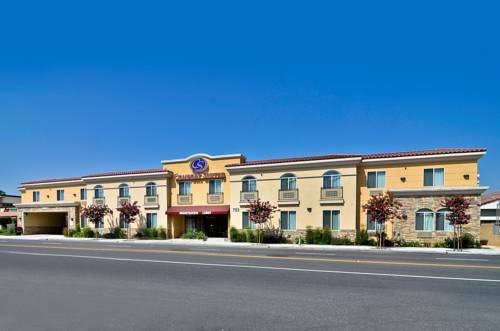 Get more of the space you need to spread out, relax or work at the smoke-free Comfort Suites near Industry Hills Expo Center hotel in La Puente, CA off Interstate 605 and Highway 60. Nearby destinations include Industry Hills Expo Center, Irwindale Speedway and Event Center, Workman and Temple Family Homestead Museum, Raging Waters and His Lai Temple. Enjoy amenities like free hot breakfast, free WiFi, free weekday newspaper, fitness center and guest laundry facilities. Spacious suites include HDTV, refrigerator, microwave, coffee maker, work desk and recharge device. Also, earn rewards including free nights and gift cards with our Choice Privileges Rewards program. ~9 miles from La Puente. ~13 miles from La Puente. ~15 miles from La Puente.